Amber Wake: Gabriel Falling. Ronovan’s new Author Site Launch. What have I been doing the past few days? You know I haven’t been blogging. Yes, I’ve been doing holidays with my son. He now owns my 13 year old mint condition black Fender acoustic I strummed maybe 12 times when I got it. I then went into serious baby room clearing out and painting getting read for the aforementioned son. But I’ve also been working on my NEW author site. It’s not perfect but it’s me. To celebrate, I have put the first chapter of my debut novel on the site. 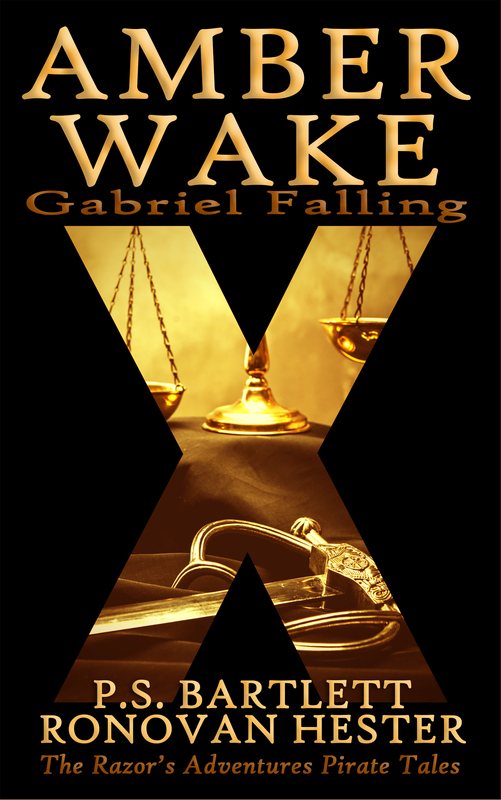 Read the first chapter of my debut Historical Adventure novel Amber Wake: Gabriel Falling. Releasing around February 14, 2016. Then tell me what you think! I trust you, my friends, to tell me and thus help me make this debut a success. Ronovan Hester is an author, with a debut historical adventure novel Amber Wake: Gabriel Falling due out in February 14, 2016. He shares his life through his blog RonovanWrites.WordPress.com. His love of writing, authors and community through his online world has led to the creation of a site dedicated to book reviews, interviews and author resources known as LitWorldInterviews.com.